DWHP has been trading as a limited company since 2002 and for more than 20 years as a sole tra der prior to that. Since 2002 we have gained an excellent reputation for providing our clients with an extremely high standard of workmanship along with prices that everyone finds agreeable. Our vast knowledge of the mechanical installation industry lets us provide an unrivalled service to our customers. We take on contracts up to £1m and with each project, we never lose the professional or personal touch. 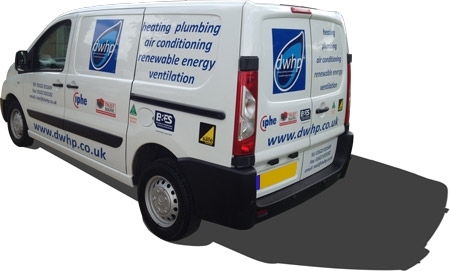 Originally a plumbing and heating installer we have since developed into one of the South East’s most respected mechanical installation contractors within the commercial and industrial sectors. From site survey to design, through installation to handover we carefully manage and undertake all areas of the mechanical package. Most of our works are carried out in the south east corner of the United Kingdom, however if your enquiry takes us further afield we would be more than happy to see if we can help.